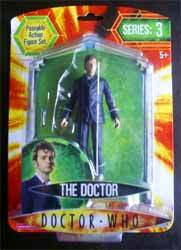 I have to admit that, while still of excellent quality, The Doctor 5" action figure is the one figure that I found hard to get too exited about - mainly because it's not that different from one of the figures released last year. This year Character Options has released two varieties (with sonic screwdriver or with glasses) and I wasn't sure why instead of two figures they didn't just release one with removable glasses and sonic screwdriver. As I mentioned before, in appearance it's almost identical to one of last year's figures - but then, as they are almost impossible to pick up now it's not surprising that this figure has been issued. 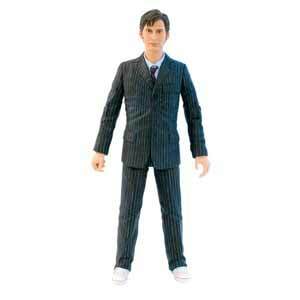 As fans of these collectable toys have come to expect, this is another well made and lovingly detailed action figure.